Have you checked out what on the slate for TV this month? Looks like we’ve got several new sci fi shows hitting the air, as well as new seasons of a few old favorites. If you’re looking for something awesome to watch this January, we’ve got a few options for you to consider. The rise of streaming services like Netflix has allowed us to binge like we never have before, but it has also lead a new problem that we never would have expected to arise before. As rights and deals run their course and expire, easy access to shows comes and goes. Every month, Netflix adds more titles to its list, while at the same time others disappear. Some come back eventually, others don’t. There was a big to-do a while back, when it looked like Doctor Who was leaving the streaming service (it didn’t), and Red Dwarf is no longer available, and now it looks like if you want to marathon The X-Files, you better do it by the end of the month. You can handle that, right? Watching nine seasons, all 202 episodes of The X-Files in less than a months? I have faith you can pull this off by April 1. You may have to call in sick to work, but that’s a small price to pay. What are you doing still reading this, you have more important business to take care right now. We live in an era where we’re looking at the third potential Spider-Man reboot in less than 15 years, so it’s kind of astonishing that there are still hugely successful past properties that haven’t yet been rebooted. Fairly high on that list is The X-Files. It was one of the most popular and defining shows of the ’90s, a water-cooler hit in the early days of the Internet, and it’s been off the air since 2002. 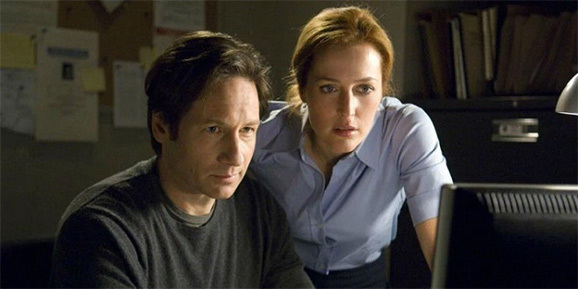 The X-Files would seem to be prime real estate that’s being left undeveloped, and there have been rumors about a reboot for years now. 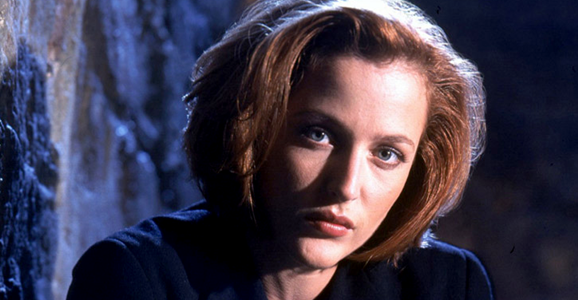 But is Fox actually any closer to reopening The X-Files? The answer is…maybe. No matter what she does in her career, for many of us, Gillian Anderson will always and forever be skeptical FBI Special Agent Dana Scully from The X-Files, but that doesn’t mean she’s not looking to branch out, at least partially. She’s appeared in tons of other projects—notable recent roles include NBC’s Hannibal—and even wrote a science fiction novel, which only makes us love her more. Recently, she made it known that she would very much like to participate in the upcoming female-fronted Ghostbusters reboot. And beyond that, she teased a possible return to her most famous character. 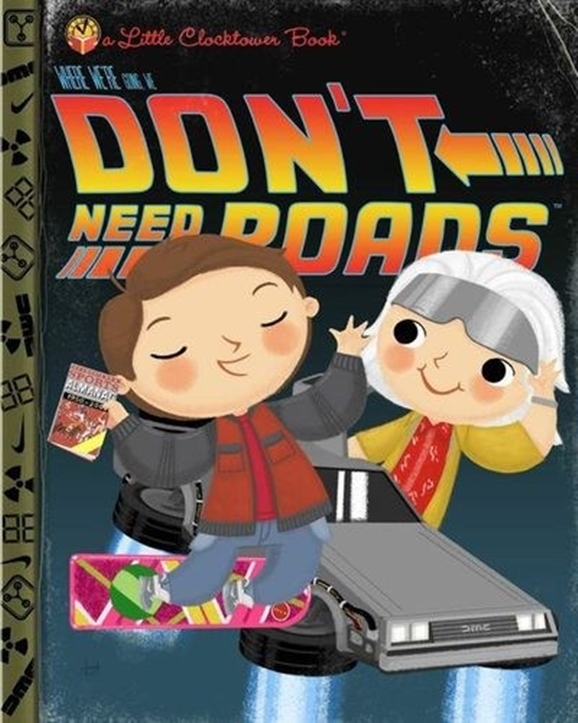 Science fiction arguably has more “what if” projects than any other genre. One look at Jodorowsky’s Dune will show you how dangerous some ideas can be. 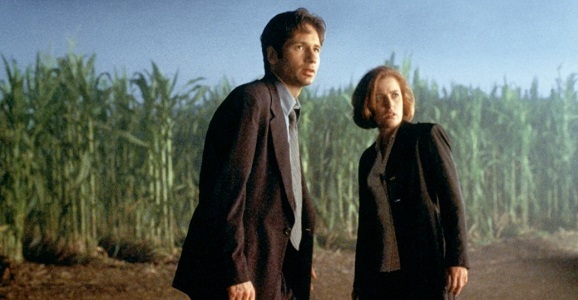 Which brings us to Chris Carter’s The X-Files, a franchise whose characters and mythology have increasingly overshadowed the original series and two features. In the six years since the disappointing The X-Files: I Want to Believe, people have been clamoring for a follow-up, and not just the fans. David “Fox Mulder” Duchovny has been very outspoken over the years about wanting to get back into the conspiracy for at least one more ride, and he’s confident that the only thing that will stop a third feature from getting made is if either he, Carter, or Gillian Anderson dies. Morbid, but passionate. That’s the Mulder way. 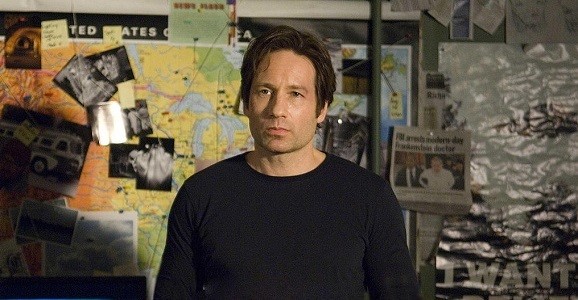 The Golden Globe-winning Duchovny recently spoke with Rolling Stone about both the upcoming series finale for his Showtime comedy drama Californication, which is ending after seven seasons, and his upcoming role on NBC’s Manson Family crime drama Aquarius. One might think that Duchovny would have too much on his plate to go back to the award-winning series, but that’s definitely not the case.